There are many ways that gender inequality holds us back. But overall, the math is simple: Half the world’s population is financially stunted. As long as we keep suppressing the economic potential of women, we will never achieve the growth and prosperity we want. Fortunately, a new report on Kenya’s M-PESA mobile money service, published today in Science, suggests that digital financial services can be a powerful tool for catalyzing the participation of women and the opportunities available to them in the formal market economy. The report’s researchers, Tavneet Suri and William Jack, have been studying M-PESA’s uptake and impact since its launch in 2007. Their latest findings indicate this simple product has helped as many as 194,000 Kenyan households climb out of extreme poverty. Women in particular showed the greatest gains. With M-PESA, they increased their consumption and their prospects in the workforce. We’ve known for some time that there is a correlation between mobile phone utilization and economic development. But we didn’t have evidence that digital financial services like mobile money actually drive it. Now we do – and we’re eager to see whether the results can be duplicated in other countries. Of all the results documented in the report, the expansion of women’s occupational choices is the most exciting. 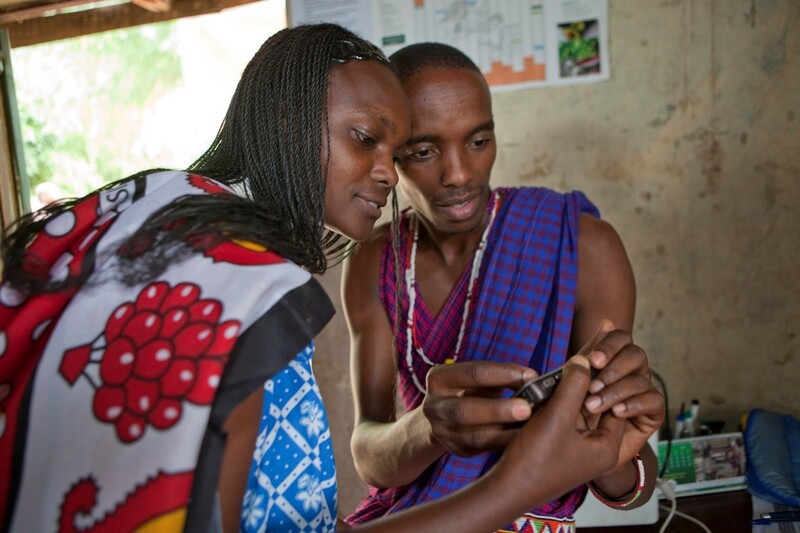 Suri and Jack estimate that 185,000 individual women graduated beyond subsistence farming and myriad part-time incomes into business or retail sales – all because of M-PESA. The majority of subsistence farmers around the world are women. This research suggests that, rather than a jobs programme or other intervention, a right-sized commercial banking product may be the most helpful thing we can offer these women, because it puts a range of options directly in their hands. M-PESA provides a mobile transaction platform that allows people to store, send and receive money in much the same way they send and receive text messages. It’s a basic financial tool, but for women who have previously relied on cash, it can be life changing. Many households climb out of poverty, only for a hospital bill, crop failure or other financial shock to drag them back down. Several studies have shown that these shocks are especially harmful to women and girls. The power to save, with a product like M-PESA, allows women to build up financial cushions and weather occasional shocks. In many family structures, women are the designated caregivers and arbiters of household resources. Digital financial services make it easy to budget, which helps women take care of essentials like school fees. And while women’s family responsibilities take hours and hours out of their day, using M-PESA puts hours back in. Instead of walking for miles to pay a bill or bussing for half a day to reach the nearest bank, M-PESA users make transactions on the fly, in no more time than it takes you to text “See you tonight” to a friend. And the research shows that female users put their extra time to incredibly productive use, working more, building relationships, and taking other steps that increase what the researchers call “occupational choice”. The individual benefits of digital financial services are immeasurable. When you consider the collective benefits, you realize that gender equality in the economy achieves something greater for everyone. According to McKinsey Global Institute, when we remove the myriad obstacles keeping women from producing and participating at a level equal to men, we will add $28 trillion to global GDP in 10 years. But, as transformative as products like M-PESA may be, they don’t overcome every obstacle. The limits to a woman’s financial power and prospects range from cultural and familial restrictions to actual laws and policies. For example, a 2015 study of 173 economies found that 155 have at least one law impeding women’s economic opportunities. In 18 of these countries, it’s actually legal for husbands to prohibit wives from working. Fully empowering women in the workforce and the economy, therefore, depends on a host of actions. 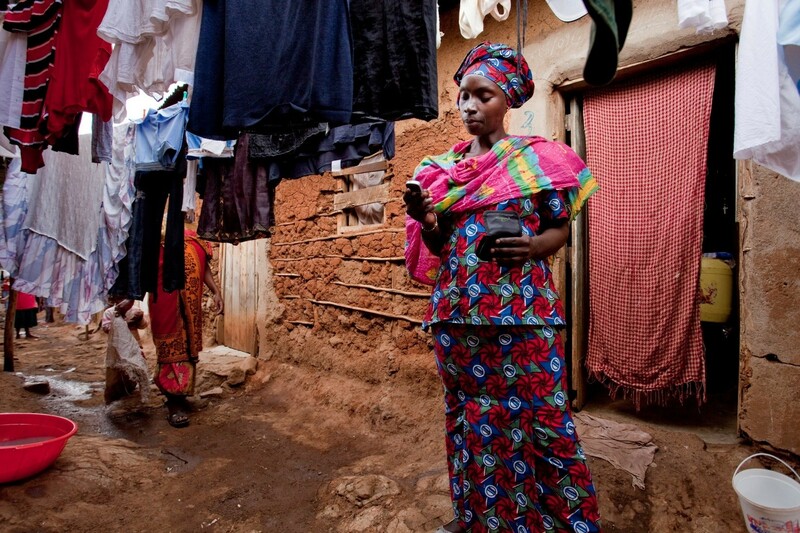 Even solutions like M-PESA aren’t ready-made to empower women and reduce poverty. A great deal of work must go into designing and distributing digital financial services to have the results illustrated in Kenya. We have to bridge the gender gap in mobile phone ownership. We have to investigate how various products and product features impact men and women differently. We have to draft regulations ensuring that new female customers are treated fairly and have sufficient financial skills so they know and trust digital financial services enough to adopt them. We have to understand what barriers exist on the supply side, and figure out how to inspire and enable providers to reach more women. We even have to figure out when in a woman’s life certain offerings will be most effective. For some products and services, the ideal time may be before a woman gets married. After marriage, a woman’s responsibilities may change dramatically, and, therefore, so will the kind of offering she needs. If that sounds like a lot, remember: The status quo leaves everyone unfulfilled. The economy is many trillions shy of what it could be. Uprooting inequality, as painstaking as it is, will be more than worth it. At the Bill and Melinda Gates Foundation, we have long felt that personal financial empowerment is crucial for reducing poverty. The new M-PESA research galvanizes our mission to expand access to digital financial services – especially for poor and unbanked women. It also signals to governments and businesses around the world that we all benefit from an economy that includes everyone. After all, 194,000 households leaving poverty behind pays huge dividends – material and social– for all of us.